It is not enough to see is necessary to understand. Same if taking care of a character originating from of the comics, the Iron Man embodies certain values diffuse in the American society. Exactly for this their histories tend always to reinforce wanted virtues and to repel defects considered socially inadequate for the authors of the same ones. In the Iron Man 1, the hero it decides to destroy the weapons sold to the terrorists. But he doesn't make the same with the weapons sold to the Americans (http://www.revistacriacao.net/homem_de_ferro.htm). In the Man of Iron 2, the character's task it is to save the true American capitalism. The USA became what are in reason of an ethics that can be summarized in a sentence: "work and greed is good". In the last times, in that Wall Street financiers tamed the American industrial ones completely, the new version of this ethics is still more perverse: "greed is good". The result of this madness the world knew after the explosion of the financial bubble, whose disastrous consequences still she make to feel in the USA and in Europe. The film approaches the subject of the capitalism basically in four situations. In first Stark it defends his industrial property before a senator that intends to reduce him to slave's condition. The government's omnipotence should find limit in the industrial freedom. In the second, it is knowing that his father dismissed the Russian partner because he was greedy. His virtue (the capacity to project an innovative reactor) it was less than his/her defect (to want to be rich). 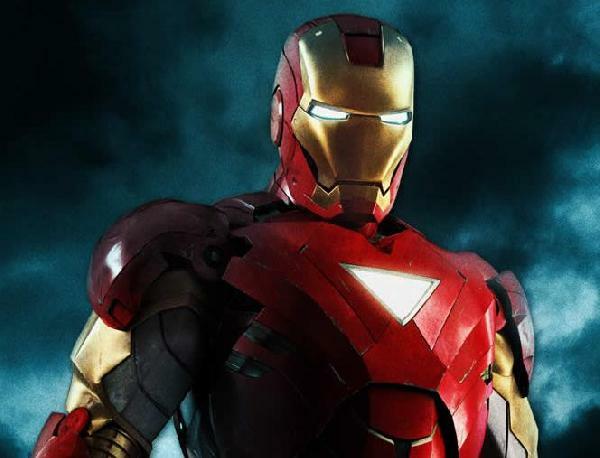 In the third, the contestant of Stark joins to the Russian villain to surpass the hero and to supply to the American military such good or more sophisticated armors than the one of Iron Man. The disloyal competition allied to the wild greed is in the origin of the complication. In the fourth the military that it deprived the friend of one of their armors takes knowledge that the same will be put to the disposition of the contestant of Stark by order of his hierarchical superior. The military hierarchy if it turns the source of the disloyal competition and of the associated problems the same. In the end the villain is defeated, the manufacturer of unscrupulous armaments is arrested and Stark still recovers his prestige and "military" superiority when building an armor more sophisticated. In the chest the hero no more it shows a lit ball, but a luminous triangle appearing down. Iron Man 2 diffuses, therefore, the idea that the "greed" by itself is not an American virtue. That the American capitalism is corrupted by Americans that join to foreigners whose values are not American. That the civil industrial freedom is a larger value than the military hierarchy. And, finally, that the largest defender of the American capitalism is not the rulers and the military ones, but the true Americans. In this second film the Iron Man left of being the traditional character of the comic books to turn a "character function." The true hero of the film is the old and good Protestant Ethics. There is only a problem, the own Protestant Ethics is in the origin of the American problems. From the antiquity it is known that the human institutions are subject to the degeneration. Aristotle delegated us memorable words on the degeneration of the aristocracy in oligarchy, of the democracy in demagogy, of the monarchy in tyranny etc... The history has been agreeing with the Greek. The without financial capitalism any ethics (the beginning "greed is good" carted the payment of millionaire bonus to the administrators that failed the banks that administered) it is a degeneration of the Protestant Ethics. Even if the Protestant Ethics is regenerated it will produce the same phenomenon type again. And it is exactly for this that the best sentence of the film is that uttered by the Russian villain in two opportunities "You lose! " But I don't think that the Americans that will watch the film will understand the true content of this death sentence of the Protestant Ethics.